The entire world now looks at this amazing rising talent from India. With the World Cup fever on, cricket fans all over the globe are in for great treat, especially with matches surrounding team India. Shikhar Dhawan is easily one of the most promising players of the Indian National Team. 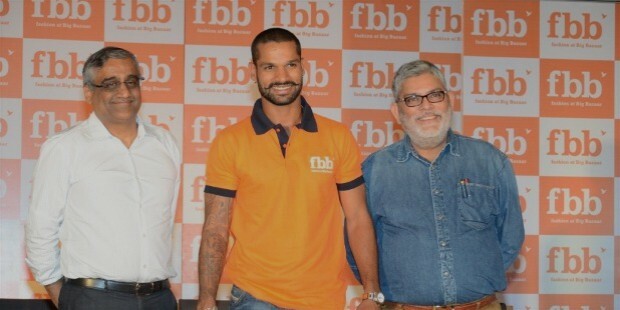 Making a wider foray with his debut at Indian Premier League (IPL), Dhawan stands to be a strong batsman of the team. He is considered to be one of the best opening batsman with left-handed batting. He is also an occasional right-arm off break bowler. He made debut against Australia in the one day International in the year 2010 at Vishakhapatnam. Shikhar Dhawan was born on 5th December 1985 to Mahendra Pal Dhawan and Sunaina Dhawan in Delhi. Their family is Punjabi in their ethnicity and Shikhar has a younger sister Shreshta Dhawan. He is considered to be one of the best opening batsman with left-handed batting. He is also an occasional right-arm off break bowler. He made debut against Australia in the one day International in the year 2010 at Vishakhapatnam. Shikhar attended St. Mark’s Senior Secondary Public School in Delhi’s Paschim Vihar. He started playing cricket at the age of 12 at the Sonnet Club under Tarak Sinha as the coach. Tarak Sinha is a well-known coach of various internationally famous cricketers. Shikhar Dhawan was initially a wicket keeper when he started training in the club. Dhawan first played for the under-16 team for Delhi in the Vijay Merchant Trophy in the 1999/2000 season. He did not get off to a glittering start in that year. However, in the year 2000/01, he was the leading runs scorer in the same tournament. He scored 755 runs from 9 innings played at an average of 83.88 with two Centuries and a highest score of 199. This achievement of his led him to be selected for the North Zone Under - 16 cricket team and to the selection of him in the Indian Squad for the Under-17 Asia Cup on 2000/01. In the ACC Under-17 Asia cup of 2001, he played three games in that tournament and averaged 85 runs per match. Dhawan played for India in the 2004 ICC Under-19 Cricket World Cup in Bangladesh and finished as the leading run-scorer of the tournament. He amassed a total of 505 runs from 7 innings, it also is a record for a single Under-19 World Cup. He made his runs with three centuries and a fifty and was also named Player of the Tournament. Dhawan made his first-class debut for Delhi against Andhra during the 2004-05 Ranji Trophy in November 2004 and scored 49 on his first innings. He finished as Delhi's leading run-scorer in that Ranji season with a total of 461 runs from 6 matches and a high-score of 130. He was picked for the India Seniors’ Challenger Trophy squad in February 2005. He opened the innings for his team with Mahendra Singh Dhoni in that series. In the second match against India B, Dhawan scored a 126 off 124 balls, sharing a 246-run first-wicket partnership with Dhoni who also scored a century, taking India Seniors to the target of 276 for the loss of two wickets. "We have known you as a very gutsy player in domestic cricket, now we hope to see you as a gutsy player in international cricket, so show us some guts." - Sachin tendulkar to Dhawan. 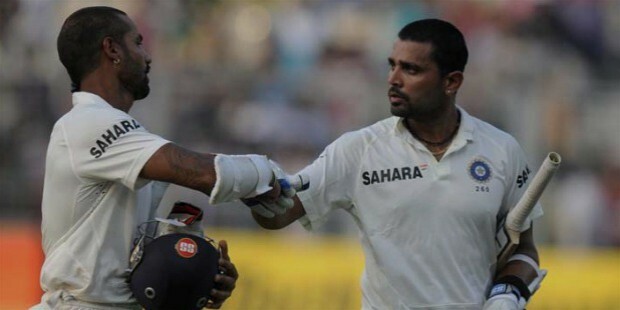 Dhawan scored the fastest century ever on Test debut, off 85 balls, and also broke the long-held record of highest score by an Indian debutant held by Gundappa Viswanath (137 vs Australia at Kanpur, 1969). Shikhar Dhawan was dismissed for 187 (174 balls) in the second over of the fourth day. India went on to win that match by 6 wickets, and Dhawan won the man of the match award. Shikhar Dhawan’s performances were not overlooked in the draw for the players in the Indian Premier League. In 2008, he was signed up by Delhi Daredevils where he was the third highest scorer of the team that season. The for the next two seasons, he played for Mumbai Indians having been traded for Ashish Nehra. For the fourth season of IPL he had another short stint at Deccan Chargers in the year 2001-12 whoo bought him for $ 300,000. However, he really shone in the 2013 season of the IPL with Sunrisers Hyderabad, where he was named it’s captain. His excellent form in the IPL got him selected for the Indian ODI squad for the 2013 ICC Champions Trophy which was to be held in June, in England. In the tournament's opening match between India and South Africa at Cardiff, Dhawan scored his maiden One Day International century. His innings of 114 runs came from 94 balls including 12 boundaries and a six. He shared an opening partnership of 127 runs with Sharma. India won that match and he was named man of the match. He also scored a century in the very next match which was against West Indies. In this tournament, Shikhar Dhawan who scored 363 runs from 5 matches at an average of 90.75 and a strike rate of 112, won the Golden Bat award for scoring the most runs in the tournament and was also named Player of the Tournament. He played for India in the 2004 U-19 Cricket World Cup where he was the leading run scorer. His total of 505 runs from seven innings is a record for a single U-19 World Cup. Dhawan has 16 centuries and as many as 24 fifties in first-class cricket. Playing for Deccan Chargers in Indian Premier League 2012, he was the third-highest run-getter with 569 runs. Harbhajan Singh introduced Shikhar to Ayesha Mukherjee, an Australia based, Anglo-Indian amateur kickboxer. According to Shikhar Dhawan, it was love at first sight on Facebook. They became friends and gradually it blossomed into a romance. 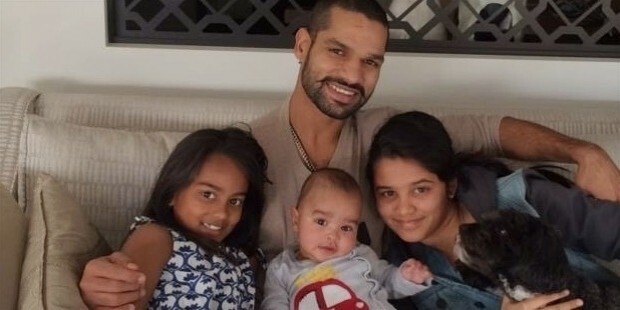 Shikhar Dhawan married the half-Bengali, half-British Ayesha in 2012. He has since adopted both of Ayesha’s daughters from her previous marriage, Rhea and Aliyah. Ayesha gave birth to his son, Zoravar Dhawan in the beginning of 2014.